​Tottenham, Inter and Atletico Madrid target Joachim Andersen has discussed his future at current club Sampdoria after being linked with a move away from the Serie A club. 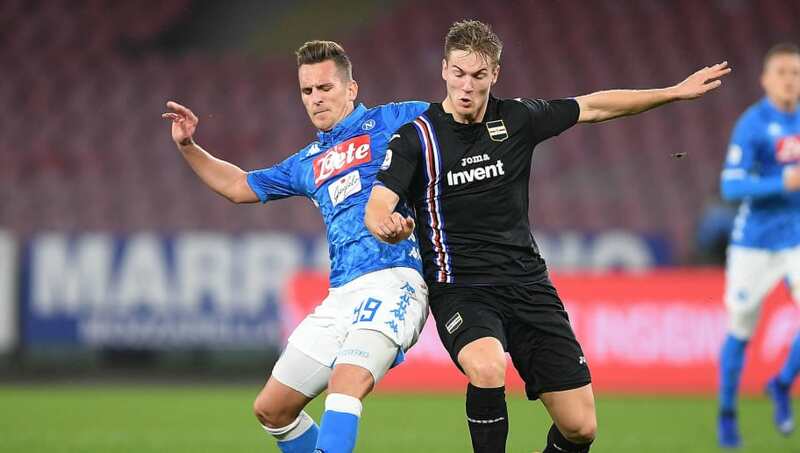 Danish defender Andersen has made 21 appearances for Sampdoria this season after signing from Twente for just £1.25m back in 2017. However, the 22-year-old's valuation has increased to around £35m after multiple impressive performances in Serie A. The Dane is said to be Tottenham's top target to replace Belgian defender Toby Alderweireld, who's been linked with a move away since the summer. With uncertainty surrounding ​Alderweireld's potential transfer, Andersen spoke to Danish newspaper Ekstra Bladet about his potential links abroad. He said: “I really just concentrate on being here, and then we have to see what happens this summer. Andersen also added that it was difficult to choose a favourite of the three sides known to be linked with him. He added: "It’s hard to say. England, Spain or Italy. But it comes mostly to the club, which must have a good plan for me, and it must make sense in the long term. Tottenham have activated a year-long extension of Alderweireld's deal, who can now leave Spurs this summer for £25m because of a contract clause. Andersen has seemingly been lined up to be his replacement. However, Spurs will have to contest with Inter, Atletico Madrid and any other interested parties for the Dane's signature.